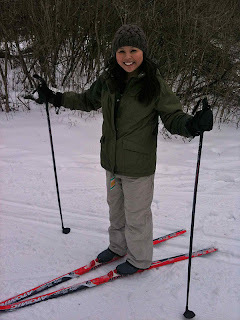 The Hip & Urban Girl's Guide: Activity-A-Week: Go Cross Country Skiing! 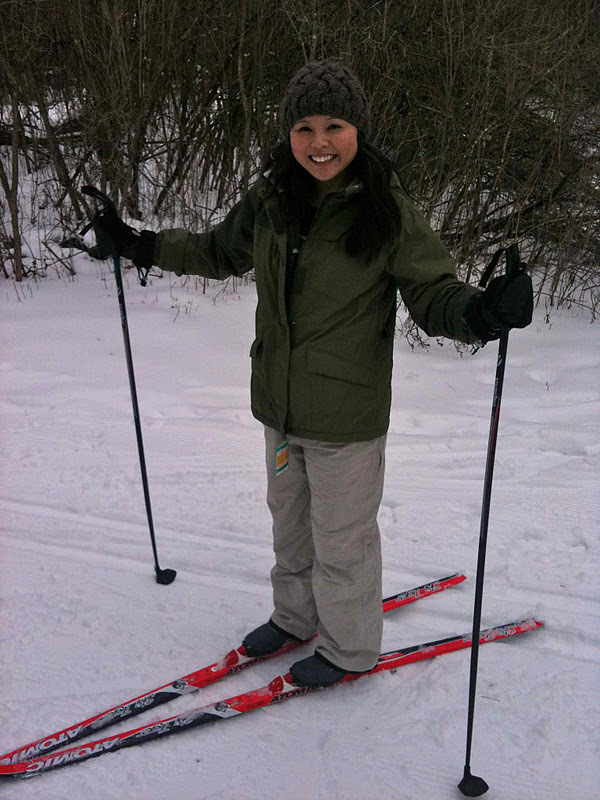 Activity-A-Week: Go Cross Country Skiing! If you can stand up, hold two poles and move like you're on the elliptical machine at the gym, then you my friend CAN cross country ski. As part of our latest column to try an 'Activity-A-Week', we headed up to Horseshoe Resort just north of Barrie to get ourselves moving without spending all our time inside at the gym. We were lucky to visit on a sunny day and the weather was +5 outside, but did have to make the drive 90 minutes out of Toronto to find snow. Since you're in Horseshoe Valley, there's hardly any wind pushing you around, making this a nice leisurely way to be active outdoors and to enjoy winter. 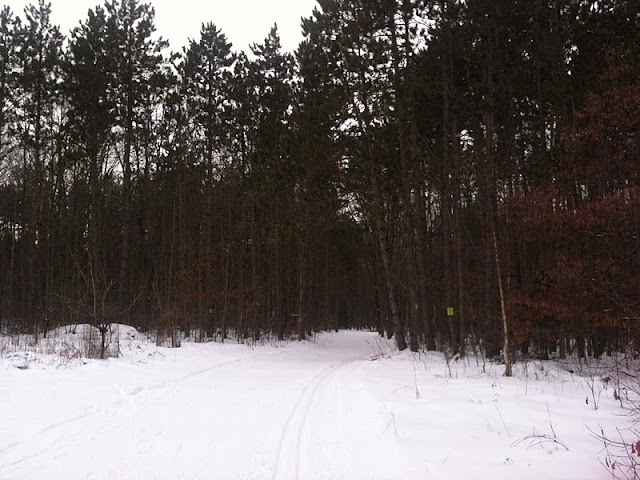 Skiing along the gorgeous trails (above) never got boring. There were lots of streams, rivers and trees to keep us occupied. Dress comfortably and warmly, but you will work up an easy sweat moving along the groomed snow. I recommend leggings or long underwear and then snow pants in case you take a spill. The beginner trails offer some incline, but you are mainly on flat terrain and it will unlikely be heading downhill. 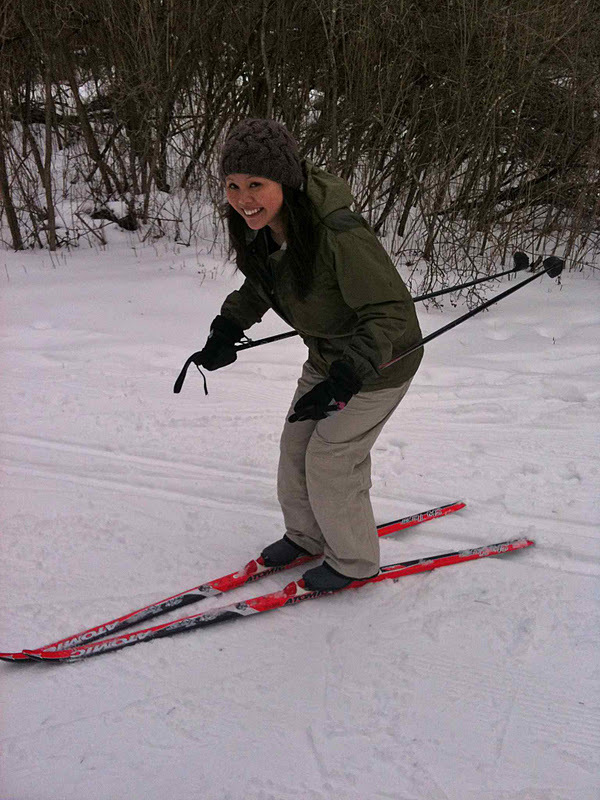 Ski Rentals are $22 and include your boots, poles and skis. A Trail Pass is an additional $22. 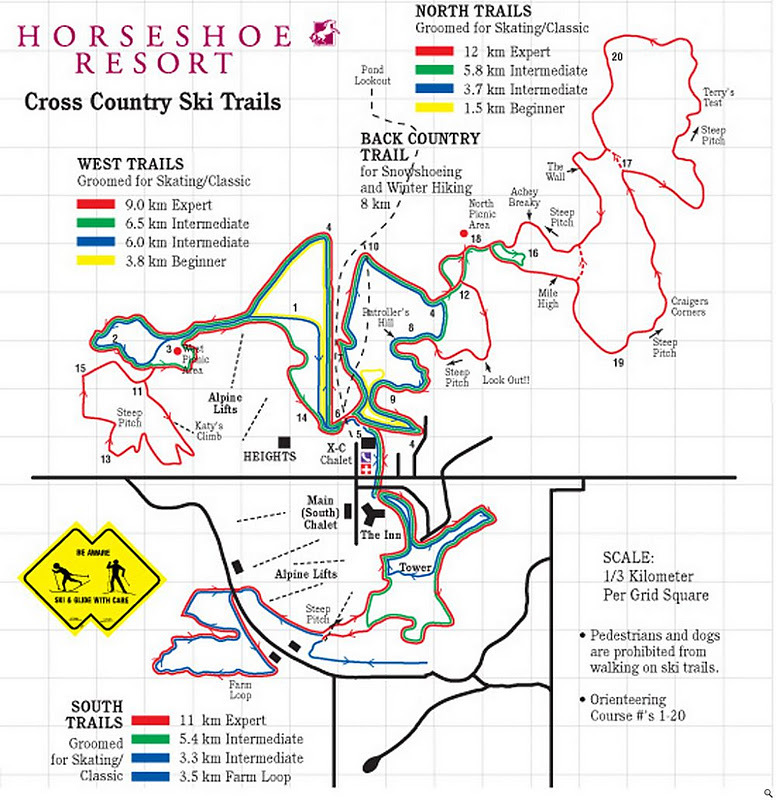 Here's what you can expect from the trail map above. It's easy to start with the yellow 3.8 KM beginner trail first. Once I got more comfortable, I merged along to the blue intermediate trail before looping back to the cross country chalet. The whole trek took around two hours and I was definitely sore the next day. Make a weekend out of it or visit during one of their Moonlight Ski nights where the trails are lit by lanterns, there's hot apple cider and a bonfire to keep you warm. Love the sound of the moonlight ski nights! Will you be trying snowshoeing too? I've snowshoed once and it was lovely. Any trail ideas with rentals around Toronto?